I already wrote about our wedding day three years ago, but it was more in the context of all the unfortunate things that happened and that made it a very difficult. If you’re interested – click here. Aside of all the things that went wrong, our venue was pretty special. With our limited budget we settled on a Hong Kong tram party. We were young, preparing to live together in the US so our budget was pretty tight. I guess that’s a struggle for a lot of couples – want to feel special, but they also didn’t rob a bank. Especially in Hong Kong, all the nice, fancy venues are incredibly expensive. Actually there’s even a series on Netflix called ‘The cheapest weddings’ and I came to realize that people on that show still spend twice/three times more on their weddings that we did! Just to be clear: if you want and can afford a big wedding – go for it! You will regret not getting it your way as that’s a very special day to remember! Make sure you and your partner get closest to your dream day, and I say it from personal experience. If I had the money, I would do it so differently – garden boho-style wedding with our close family and friends, nice jazz music or a live band in the background… But since we were in the situation we were, we wanted to do something different, something that would be in our memories other than because Momzilla yelled at both of us for not getting ready at the time she wanted us to get ready. To make sure your dream day goes smooth, make sure you have a maid of honour to help you out. So many things would have gone better if we didn’t need to do them personally on the wedding day! Ensuring food is loaded, drinks are cold and in place, the perfect playlist is on the music device. We decided to enjoy few hours of ride on an antique Hong Kong tram through Hong Kong Island. If you’re not big fan of a city and you had a beach wedding in your mind you can try Repulse Bay, but you need to keep in mind the transportation might cost more. If the wedding is small enough you may also want to look into getting a private room at a restaurant with Harbour view, as normal wedding venues have a minimum size-list. There are plenty of restaurants with a great view, so there’s plenty to choose from. Depending on the venue, you will either have to take care of the food on your own, or you can buy it as a package. We went for Cafe De Coral package (did not include drinks, we bought them and brought them to the wedding separately – that’s why you need a maid of honour and a best man to do the dirty job for you ;-)) and there was enough decent food for 20 people. We mostly chose it because there’s CDC right next to Tram Depot so the staff was able to move it onto the tram without too much trouble. CDC party menu for 20 people includes salad, chicken, shrimps, seafood platter, duck, sandwiches, spaghetti, curry and many more for $2598 (standard price, some banks offer a discount on CC which drops that to $2338). You can find different menus for your own reference here – http://www.cafedecoralfastfood.com/takeaway_party100.php?lang=en . If you’re not a fan of CDC, you can always look up FairWoods. Both will provide you with good food at low prices. Wedding cakes can be super expensive as well, but you can find plenty of good looking cakes in regular bakeries. We decided to go for Arome, a Japanese-style bakery chain. 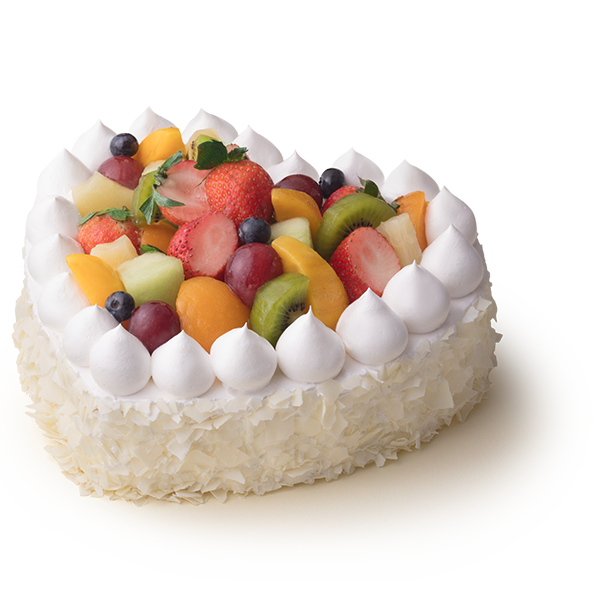 Current price of heart-shaped fruit cake with our name is $188 per pound (2-10 pounds available to order) – you have plenty to choose from! – https://www.aromebakery.com.hk/Client/Portal/Category . You can also give it a shot to local bakeries, as they can do as good job as chains! If your budget is bit higher than ours you may want to check this store: https://www.msbscakery.hk/ – I love how beautiful their cakes are! I know it will sound very vain, and it has nothing to do with power of social media. It’s simply just a great feeling to look at beautiful pictures from your very special day. But good photographer costs a lot. And when I say a lot, I mean A LOT. However, if your friend is a photographer, you can try to make a deal – as a wedding gift, you would like to get few nice shots of your special day. I know photographers reading this right now are mentally killing me, as I do know the prices of the whole wedding day shoot package (red pocket money seems like pocket change to this), but if you’re really good friends, and you know your fellow can’t afford to have it done any other way, why not helping them? Same as with a photographer, you can check if one of your friends could do your hair and make-up as a wedding gift. The way you look and feel that day is important, and people can rip you off easily the moment they hear ‘Wedding!’ – price will raise immediately. My sister in law was happy to help us out! There are also a lot of make-up pop-up stores that will give you a make-over for free if you buy the products they use on you – this way you can kill two birds with one stone. You get a great look and cosmetics to use for future. However, make sure you go to the same person twice and get your picture taken if you’re happy with the look. Don’t leave it for the wedding morning to have your first make-up done, you won’t want to take a risk! There are plenty of really good florists in Hong Kong, but I think it can’t get any better than bouquets you can get at Flower Market at Prince Edward’s! I got my red-rose flower bouquet from them as well. Just remember to bargain! Getting a tailored suit in Hong Kong is supposed to be very affordable. Try going around Tsim Sha Tsui and you will be offered plenty business cards from tailors. The suit you get can be then used for a different occasion. 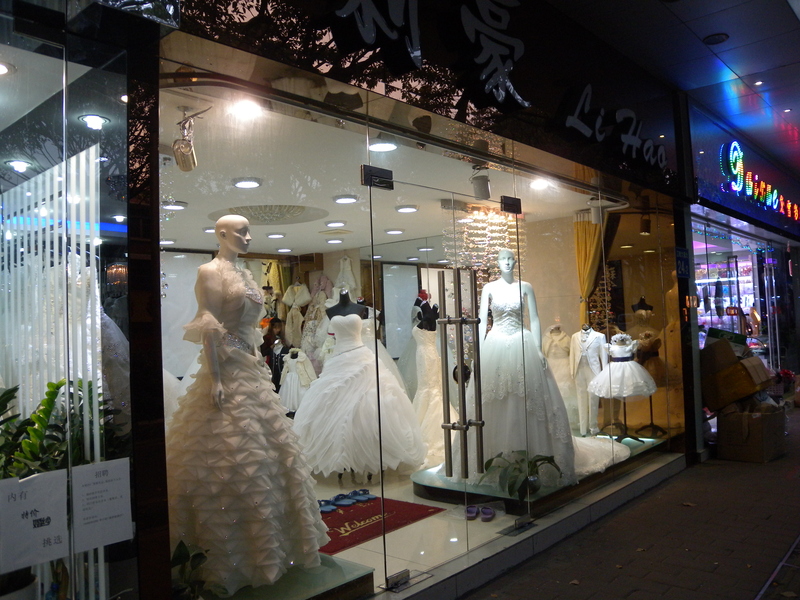 As for the wedding dress I would recommend getting a visa and going to Guangzhou to visit their famous Wedding street. Never been there myself but plenty of our Hong Kong friends went there to get beautiful and affordable wedding dresses. I wish my cheongsam was bit more westernized, like a long-red dress, as a symbol of our two cultures, but I got a good bargain on it so I can’t complain! Our wedding wasn’t a typical Hong Kong or Polish wedding, but it was definitely a special one! We didn’t have a tea ceremony or games played like during ‘oczepiny’ ceremony, yet it had a little bit of both traditions. I don’t want to put you on pressure, I know myself I often catch myself thinking it could went better. I love Sing and I would marry him again, but I wish I had more happy memories of that day. One wedding day comparing to life-time together seems like nothing, but it’s always better to look back at the pictures and see a smile than worry! Dear Readers, what are your tips on budget wedding, or how to make it more affordable for your couples? Let’s share so other engaged couples can have it easier than we did! A very practical post! Thanks for the tips, not that I will get married anytime soon hahaha. 😅 Still, it was a very interesting read. I’m going to check out that Netflix show! I didn’t know there was such a show haha. It’s definitely on Irish Netflix, so I think you should be able to see it too! Some of the venues are not really my thing, but one of them is on a small remote island and all the people from the island contribute with flowers, food etc. and it’s so sweet! Another one is a handy-man doing all the decor by himself and it looks amazing! I finished watching the first two episodes! I did love the island couple. I also loved the retro couple in the second episode! What I liked was that in the end, all the couples I’ve seen have had happy endings, despite whatever conflicts they faced with the budget. That’s very reassuring, that you can make it special even with a small budget 🙂 glad you liked it! The nice thing about getting married in a small town in New England was that there was really only 1-2 options for everything. 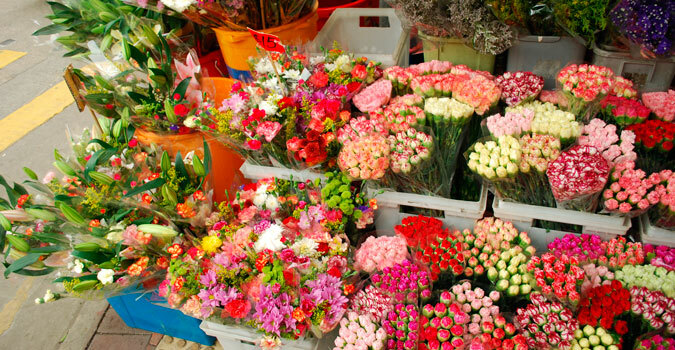 And only the flowers tend to be very expensive, as they have to be flown in from a long way away. I don’t really have tips for a budget wedding, apart from buying the dress in China xD It cost 5 or 6 times less than in Spain… the price of wedding dresses in Spain is really ridiculous! Your wedding sounds very original! It’s a once in a lifetime event why should people compromise and not have a wedding they desire? Perhaps that’s the reason my Hong Kong friends refuse to get married. Since they can afford their own apartment so no need to compromise. I’m not sure if it’s only your husband, but I find that he is a cheapskate and prefers a child bride (women below 25 years old). I remember you told me that it’s hard for brown people to get a job in Hong Kong. You are wrong! I know of two brown people who are lecturers at Hong Kong universities. It’s either you’re racist or universities in Hong Kong had lowered their standards. I’m not sure why you attack me over that statement – I said what I heard from people and their experiences. It’s great you know two uni teachers, that really is – it shows there are people who don’t judge based on skin colour in HK and that’s awesome, I’M HAPPY YOU SAY I’M WRONG! Unfortunately from my experience I noticed I get much better treatment than for example my sister in law. Most of our friends have mainland wives and their mothers look at the wives down, just because they are from mainland China (funny enough, most of them are from China as well). So I still stand behind the statement that HK can be racist, but please don’t take my words out of context or change them. Not everyone has money to get married, so shouldn’t they get married like EVER because of that? If you can afford, of course go big! But sometimes doesn’t matter how much you work you may not get there. On the other hand, some people simply don’t want to spend all their money or get into a loan just for one day. Hopefully this post helped them a bit to get something nice on a tight budget. Please tell your sis-in-law to save more money, study abroad and get a nice foreign husband. Also, don’t eat so much can food like in extreme cheapskates. Bad for your health! Take care!